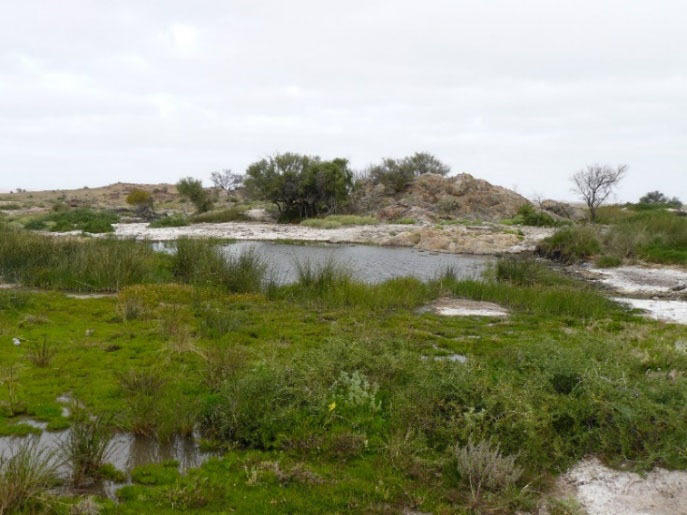 As part of DEWNR’s Desert Jewels project, it is proposed that a number of springs at Levi Springs, on Peake Pastoral Lease, be fenced to provide protection from stock. In August 2015, a combined group from FOMS and DEWNR inspected Levi Springs and plotted a proposed fence alignment that would include all of the springs at Levi and most of the associated rock formations. 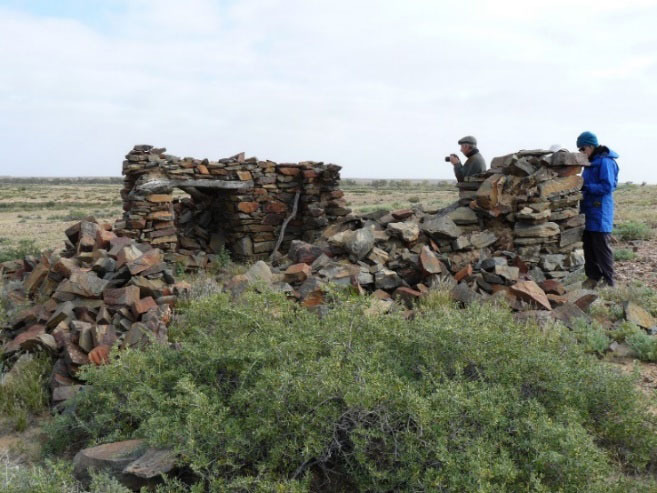 In early 2016, DEWNR’s Sam Gitahi, then Project Officer for the Desert Jewels Project, re-visited Levi with representatives of the Arabana people to check the acceptability of the proposed fence alignment to the Arabana community. Subsequently, the proposal was considered by the Directors’ Group of the Arabana Aboriginal Corporation, which decided not to support the proposed alignment. The Directors’ Group indicated that a modified fencing alignment, taking in the springs but not the main associated rock formations, might be acceptable. Accordingly, in the July 2016 trip FOMS volunteers returned to Levi Springs to review the situation. Arabana elder Dean Stuart accompanied the group. Along with Dean the FOMS group comprised Colin Harris, Elizabeth Lay, Bernice Cohen, Claire Bockner and Simon Lewis. An agreed alignment was readily identified, taking in several springs on the northern side of the main rock formations, as well as the ruins of the former shepherd’s hut nearby. 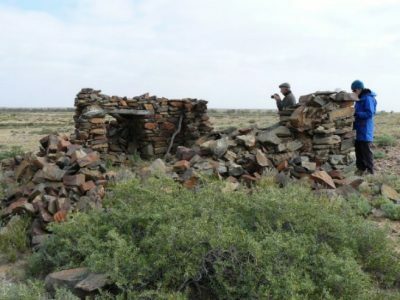 Peake manager Jim Wheeler met the group at Levi Springs and foreshadowed no particular concerns from the Kidman perspective in relation to the fencing. Following the field inspection of July 2016, the Directors of the Arabana Aboriginal Corporation met in Marree on 20 August and endorsed the revised fence alignment. Pastoral lessees S. Kidman and Co have also given the go-ahead. Materials for the originally proposed fence alignment have already been purchased by DEWNR and this Department and FOMS are now in discussion about arrangements for erection of the fence. This work will provide protection for an important area of springs and, as such, will be a significant milestone for the Desert Jewels project.